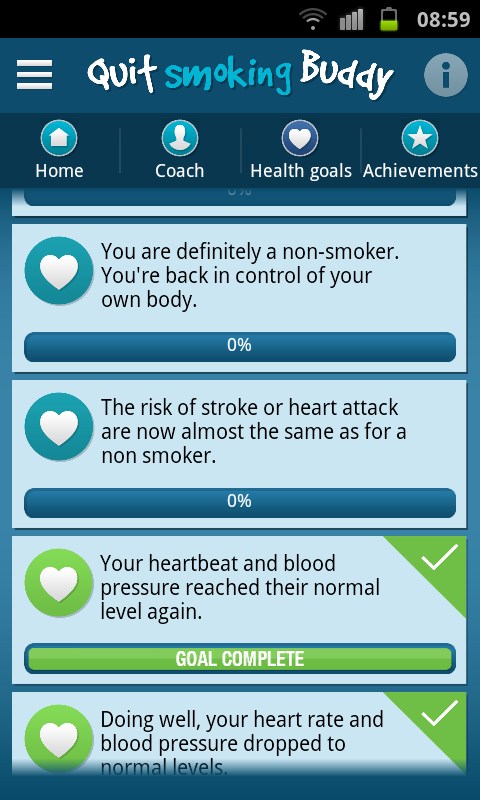 A life without smoking will become a realistic and reachable goal! 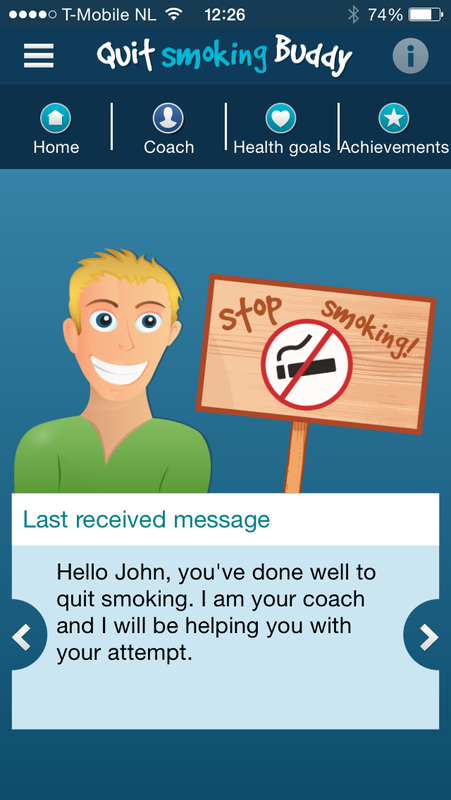 Quit smoking now and let the Quit smoking Buddy coach help you with it! 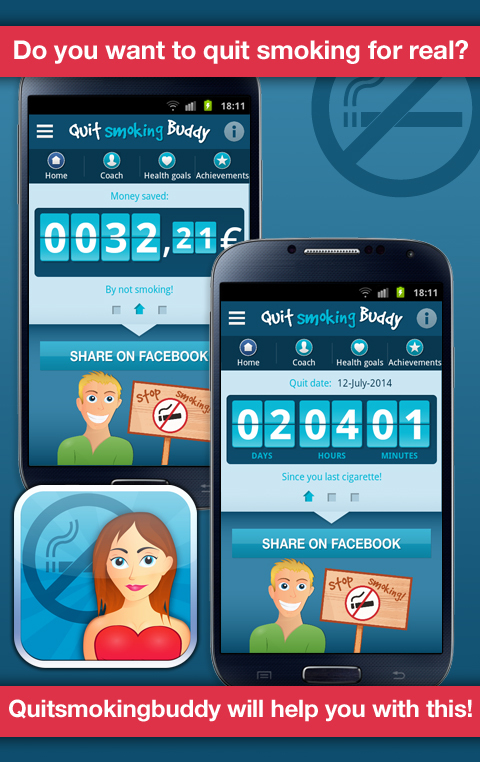 How many times have you already tried to quit smoking? 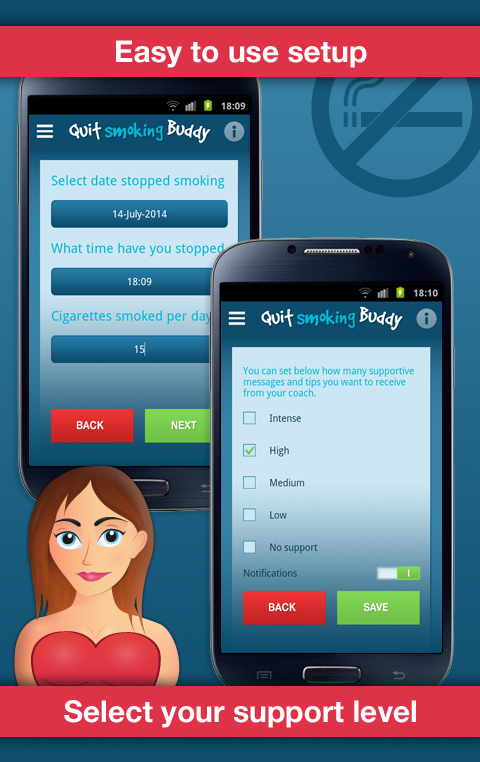 Stop torturing yourself and use the help of your personal quit smoking coach. 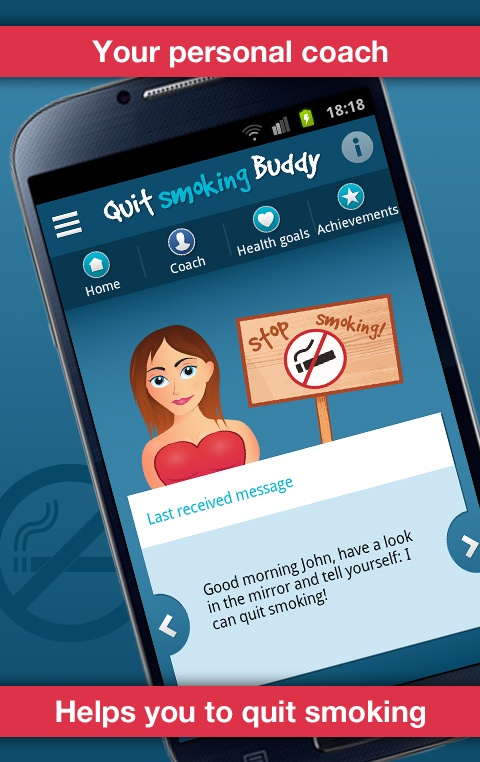 The quit smoking buddy coach is unique and will help you through the difficult moments with daily motivating coach messages. 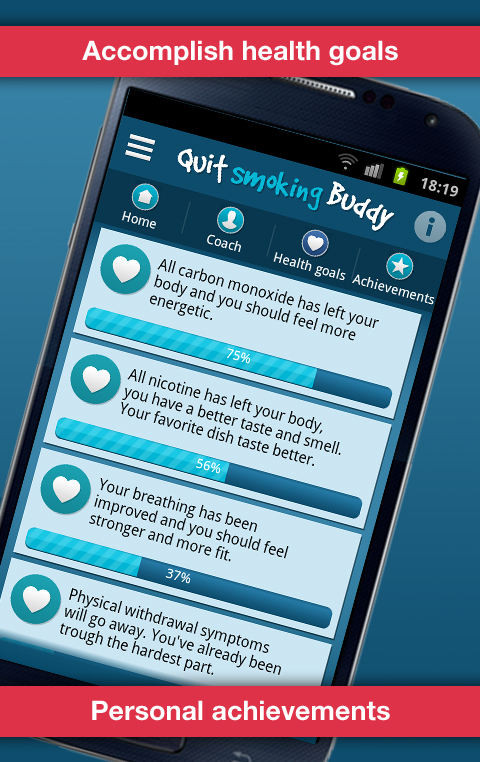 Check how long it’s been since your last cigarette, complete the health goals and accomplish your personal achievements. 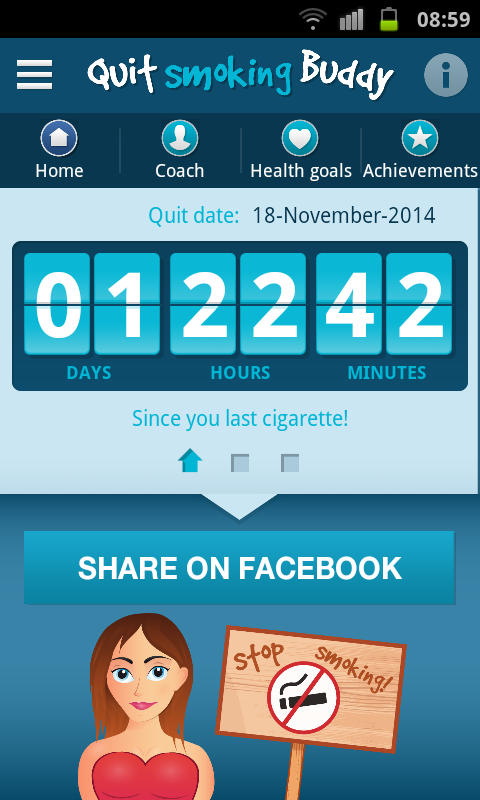 Share your progress on Facebook and astonish those around you! 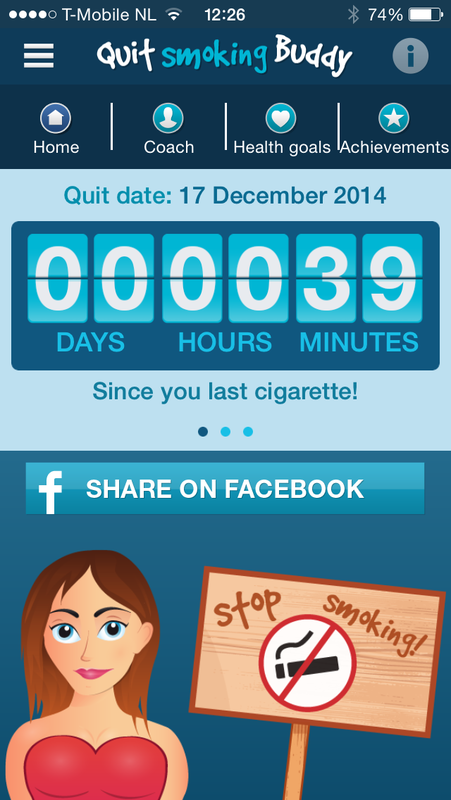 Copyright © 2014 HQmedia. All Rights Reserved.